Recently there have been some conversations around my organization and town in general about whether it is worthwhile to try to bolster an existing endowment. People have mentioned that there has been a trend away from establishing endowments in recent years. I started wondering what the thinking behind that was and what the alternatives might be. Current needs is the one that at least one of your board members will bring up, and is very possibly the reason why your board will vote not to have an endowment. “Why should we put a million dollars in a bank account when we can use that to serve a million more lunches?” Or buy a hundred thousand more books. Or facilitate a thousand more adoptions. Or renovate the façade of the theater. Many nonprofits are in dire need of more money, and most can at least think of an immediate way to use more….Some people go so far as to say it’s not ethical to lock money in the bank when there are so many necessary ways to spend it now. Before you know it, you have bad press and declining donations—and you wish you’d never thought of raising an endowment. You may look jealously upon organizations receiving large payouts from their endowments, especially universities, but by and large these groups have a staff that is actively managing an endowment. A staff is required to grow an endowment to the size it yields enough to support your activities. But you need to have started with a large enough endowment to support a staff in the first place. A couple weeks ago Ali Webb wrote the provocatively titled Philanthropy’s Seven Deadly Sins on Non-Profit Quarterly. Some of the sins were more specific to philanthropic foundations than non-profit organizations in general, but I saw some parallels with topics I have discussed in the past. I am relatively sure most people recognize that “Blindness to Privilege” is a significant issue right now. In the sin of “Dismissing Community Knowledge,” I saw some familiar phrasing. Chen calls it “drive-by grantmaking,” where foundations make a grant and then go away for a year or two. “Local folks have a BS meter and they know if you don’t trust their knowledge,” says Harris. From a recipient point of view, the “Failure To Learn” sin encapsulated a lot of the issues non-profits face today with the expectations of funders. If you read Vu Le’s Nonprofit AF blog, you will be familiar with these gripes. All of this is something to think about. It is difficult to effect the change we like as fast as we think we should, but being reminded of these concerns on a semi-regular basis feeds progress. If you want a lesson in the power of custom and pricing psychology winning over objectively better options, check out this New Yorker piece on failed attempts by restaurants to eliminate tipping. Research conducted by Michael Lynn, at Cornell University, who is the foremost academic authority on tipping, has shown that people of color receive lower tips than their white colleagues, which arguably qualifies tipping as a discriminatory pay practice. The system perpetuates sexual misconduct, because service workers feel compelled to tolerate inappropriate behavior from customers who hold financial power over them. As restaurant prices have risen, gratuities—which are tied to sales, as a percentage—have too, so that there is now a substantial and hard-to-defend disparity between the pay of the kitchen workers who prepare food and the servers who deliver it. A statistical model created by Ofer Azar…found only a small correlation between tip size and service quality, leading him to conclude that servers were motivated mainly by other factors …Another study by Lynn showed that perceived service quality affected tip size by less than two percentage points. A female server, by contrast, can expect to hike her tips by an average of seventeen per cent if she wears a flower in her hair. A number of restaurant groups and owners have tried to eliminate tipping to help resolve this issues. Some have decided to eliminate tipping and set their prices higher in order to provide health and leave benefits in addition to a living wage. While there have been some difficulties finding people who are willing to work in a no-tipping environment, the bigger problem is resistance from customers. New research by Lynn shows that when restaurants move to a no-tipping policy, their online customer ratings fall. One factor that explains that dissatisfaction is how we, as consumers, respond to “partitioned” prices versus “bundled” prices. A partitioned price divides the total cost of an item into smaller components—say, a television listed for a hundred and ninety dollars that has a ten-dollar shipping fee. A bundled price would list the television, shipping included, for two hundred dollars. Consumers tend to perceive partitioned prices as cheaper than bundled ones. Later the article notes people have an aversion to service charges. Even though people will typically tip 20%, if a 15% surcharge is automatically added in the place of tipping, people perceive it as a “gotcha” even though it means they will pay less. People also believe that service will suffer in the absence of tips. There is a lot in this article that speaks to the value of using psychology in pricing strategy and providing the perception of the consumer being in control. If you have ever shopped on sites like Amazon where there are multiple sellers of an item, if you pay attention you will often see items that are offered a few dollars cheaper than the rest of the group—until you get half way through the transaction and you realize that with the shipping and handling it is much more expensive than the sellers who offered free or included shipping. I often wonder if they are counting on people not noticing or deciding it is more trouble to back out of the transaction and starting anew with another vendor. Speaking about the ethics and motivations behind your pricing does gain traction with certain demographics and may make them more willing to pay a higher price if they know people are being taken care of. But this New Yorker story seems to suggest tricks like ending a price with a 9 rather than a 0 will still be a significant motivator of purchasing behavior. A heads up to people who have, (or know people with), innovative ideas using technology to connect people with arts and culture, the Knight Foundation is looking for project ideas via the Knight Prototype Fund. Unlike some of the other projects the Knight Foundation funds, these projects don’t need to be set in the communities it traditionally supports which is why I wanted to bring it to everyone’s attention. As the prototype term suggests, they expect some of the concepts to be in the early stages of development. Applicants don’t necessarily have to work for an organization. We’re looking for ideas from arts organizations, artists, technologists, designers, educators, researchers and others inside or outside of institutions who are eager to experiment. We’re open to diverse approaches and perspectives on the use of technology to connect people to the arts, and seek to identify projects that have the potential to be replicated by others in the field. What can we build to help arts organizations expand their use of technology? How can we use the qualities of new mediums to create unparalleled experiences? How can we replicate solutions, so that more in the field benefit? How can we learn more about the people we are trying to reach and design solutions that understand their needs? 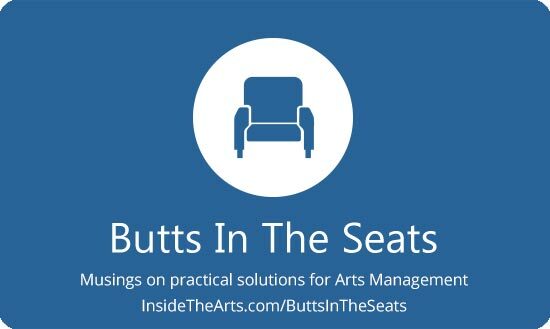 How can arts institutions provide magic outside of their four walls? How can cultural organizations breathe warmth into technology? We hope to invest in projects that have provocative questions at their core that can only be answered through the act of making them a reality. Grantees will join together over a nine- month sprint to learn innovation techniques and test ideas. As an example of the type of thing the Knight Foundation has been doing lately, they partnered with the creators of Pokemon Go to see if similar games or tools could help build community. It sounds like they would be open to projects that pushed the envelop even further as well as repurposing existing tools in a manner few people have considered. One of the things I most appreciate about what the Knight Foundation proposes is that they are going to provide applicants with training in innovative methods as well as bringing them together to learn from each other. This acknowledges that innovation isn’t generated in a vacuum or emerge from a lone genius working in a garage, but rather builds on past work in new ways, often in collaboration with others.